Incorporated in the year of 2014, Techmate Industries, is the topmost Importer, Manufacturer, Exporter, Wholesaler, Retailer, and Trader of a wide assortment of premium quality Pantry and Baking Equipment. Our comprehensive range of products includes Bakery Oven, Bakery Equipment, Planetary Spiral Mixer, Refrigeration Equipment, Coffee Machine, Commercial Blender and much more. The raw material that is best in the market employed in the manufacturing of the offered products. To ensure high standards of quality, offered products are manufactured with the help of top-notch technology. Offered products are well known for their excellent performance, compact design, high mechanical strength, easy operation and minimal maintenance. We are backed by a sophisticated and sound infrastructure unit that has the capability to fulfill bulk orders. We have gained a commendable place in the market in a short frame of time. Divided into various parts, our infrastructure unit is spread over a broad area of land. Our production department is well equipped with sophisticated machines for a qualitative manufacturing of the offered products. In order to work in the best possible manner, these professionals are supported by a team of skilled technicians. Owing to the support of our mentors Mr. Manoj Kataria, we have been able to achieve such a milestone in the industry. We are increasing our position across the industry owing to their, patron-centric approach, clear business skills, and fair business deals. Manufacturing, Trading, Importer AND Exporter of Pantry And Baking Equipment. 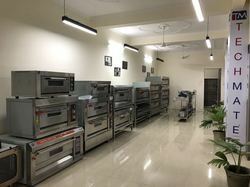 We have attained remarkable success in a short frame of time by manufacturing quality approved kitchen equipment at reasonable prices within requested time-frame. Offered products are highly admired for their resistance corrosion, low maintenance, impeccable finish and longer functional life. We are strongly supported by the help of skilled, experienced, competent and dedicatedly working workforce. 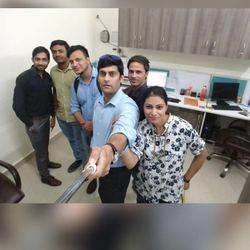 We have hired our professionals after analyzing their technical knowledge and professional skills on various predefined procedures. To keep aware the ongoing market developments, We are providing our employees regular training sessions and seminars. To ensure hassle free operations, we have parted our infrastructure into various divisions. Our production unit comprises of latest machines and equipment. The machines installed in our production unit are able to meet the bulk requirements in the limited time period as production rate is very high due to these upgraded machines. Owing to our modern infrastructure, we are able to stand against the ongoing market trends.